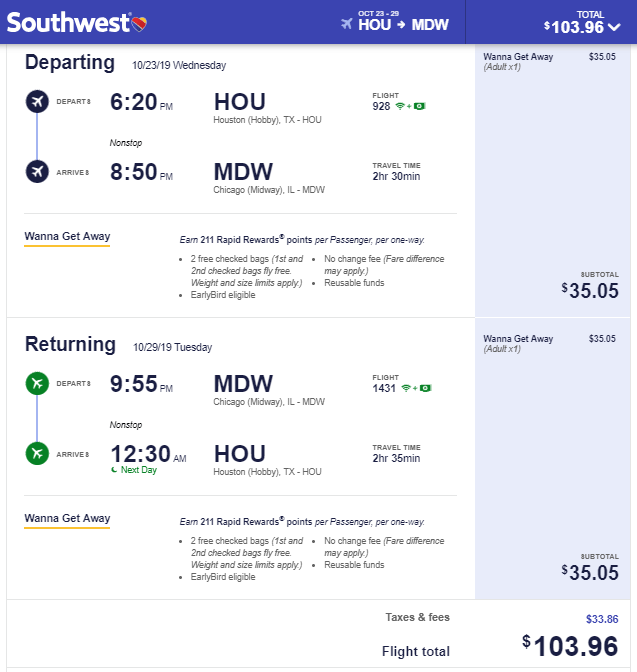 Southwest has round-trip flights from Houston (HOU) to Chicago (MDW) starting at $104, NONSTOP. $52 each-way. Flights from August to October. Origin/Destination reversible. Note: United, Spirit, and Frontier may have fee encumbered “Basic Economy” fares available for a bit less. Keep in mind that those “cheaper” fares are often more expensive once you factor in bag fees. Note: Southwest doesn’t charge a change-fee, so if you already booked this flight, but paid more, you should be able to re-book at the lower price and get the difference paid back to you in the form of a travel-voucher. Note: You can save an additional $100 if you book your Flight+Hotel together as a package on Southwest Vacations and use the DOM100 coupon-code. Before you commit, always compare the prices of the individual Flights and Hotel with other hotel booking sites like Hotels.com or Tripadvisor. 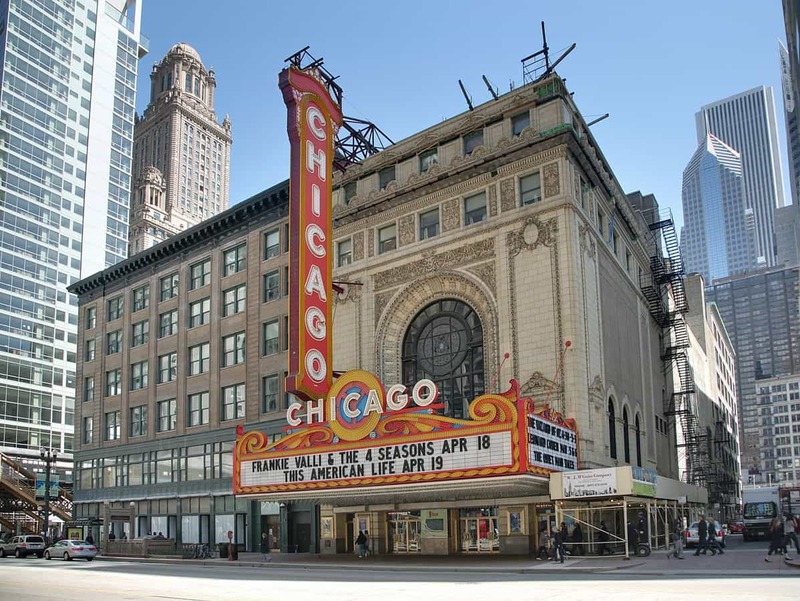 Example Dates: (BookingBuddy / Southwest) Aug 14 – Aug 21 / etc… / Oct 23 – Oct 29 / Other dates: Use the Fare Calendar on Southwest. There are more dates available than the ones we list here, experiment on your own. I was able to pull this up on Southwest. Screenshot taken when this post was initially created. See timestamps at the top of this post.